October 14, 2013 — Musky fishing just keeps getting better as the temperatures cool. The leaves are mostly gone near the rivers and the weeds have released their hold and the rivers are in the best shape of the season. Water flows in the rivers are above average for this time of year and we have more rain in the forecast, so we should be in great shape for the rest of the season. With a little luck, the Namekagon should be back in play after the government gets up and running again. 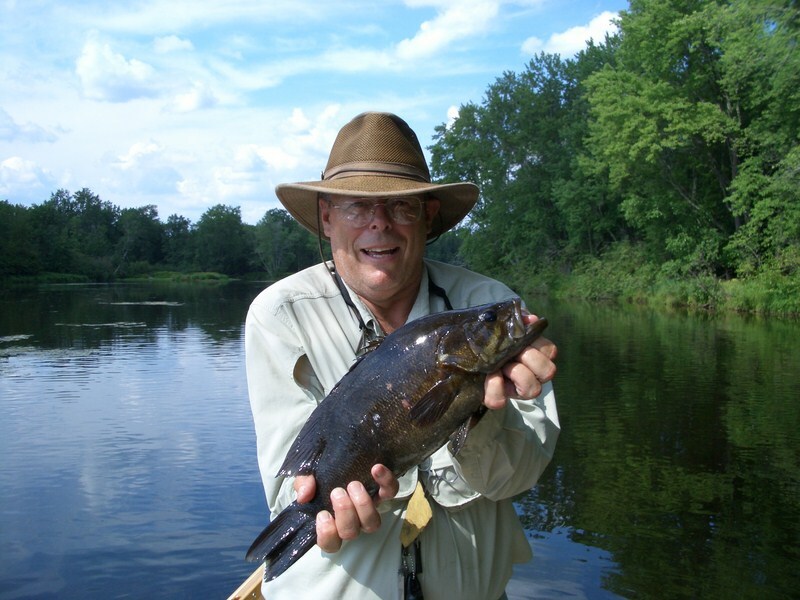 The Chippewa and Flambeau are fishing great right now. We just hosted a group from Tight Lines Fly Shop in DePere, WI and, over the 3 days of fishing, we boated over 25 muskies with the largest at 46″. The cooler temperatures instill a sense of urgency to feed and feed aggressively. This is always the time to catch the biggest fish of the season. The weather is great, the water is great–get out and FISH! !